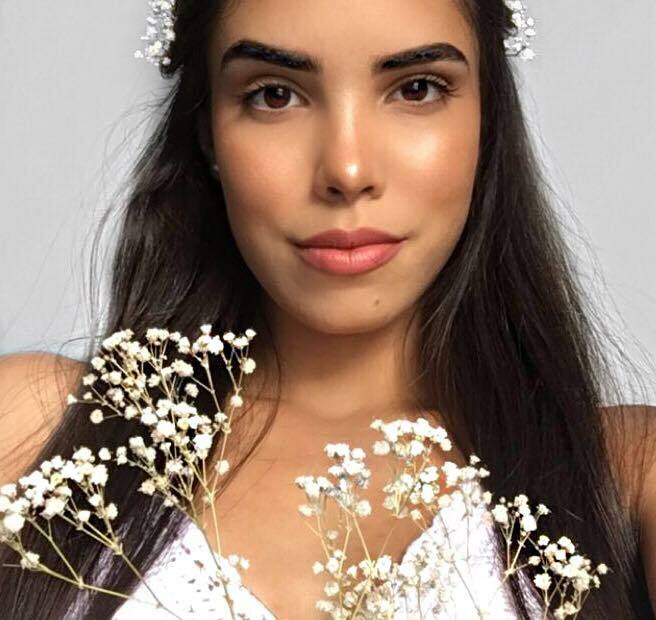 Eyebrows are one of the most important features that you have as they are necessary to frame your face whether you’re wearing makeup or not. In order to make sure that you always look your best, you should take the time to sufficiently take care of your eyebrows. Today I'll show you some products I use to enhance my aesthetics. I like to change my brow routine from time to time. Sometimes i'm more likely to use a brow pencil or switch it up for a brow powder. 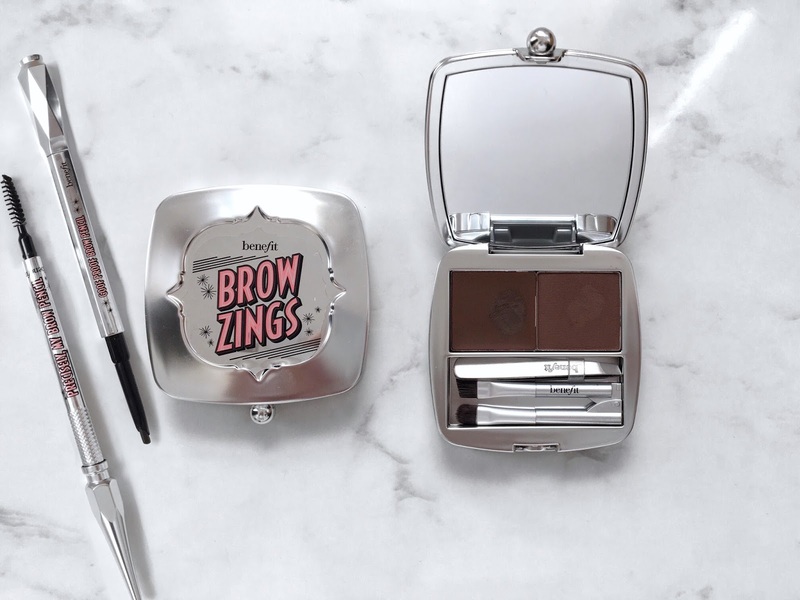 This Brow Zing's from benefit cosmetics is really good because it comes in a mini kit which contains: eyebrow powder & wax, mini slant tweezers and dual-sided extendable applicator is everything you need to sculpt, shape and fill brows. I use this product when I feel like I have more time to do my brows-(it's a great kit to carry on your bag). 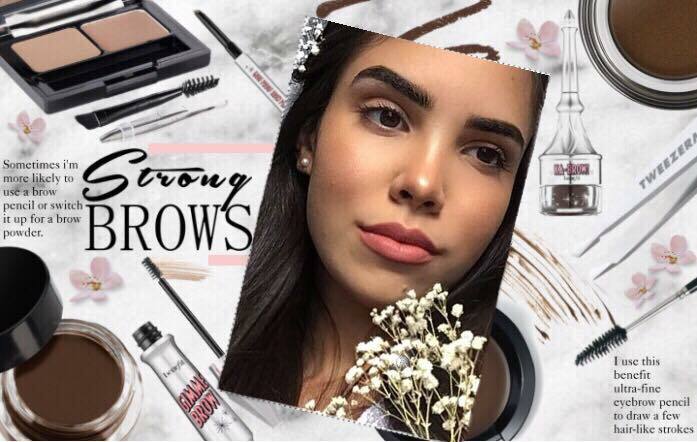 I use this benefit ultra-fine eyebrow pencil to draw a few hair-like strokes just to fill-in the sparse areas of my brows. SPRING is here!! 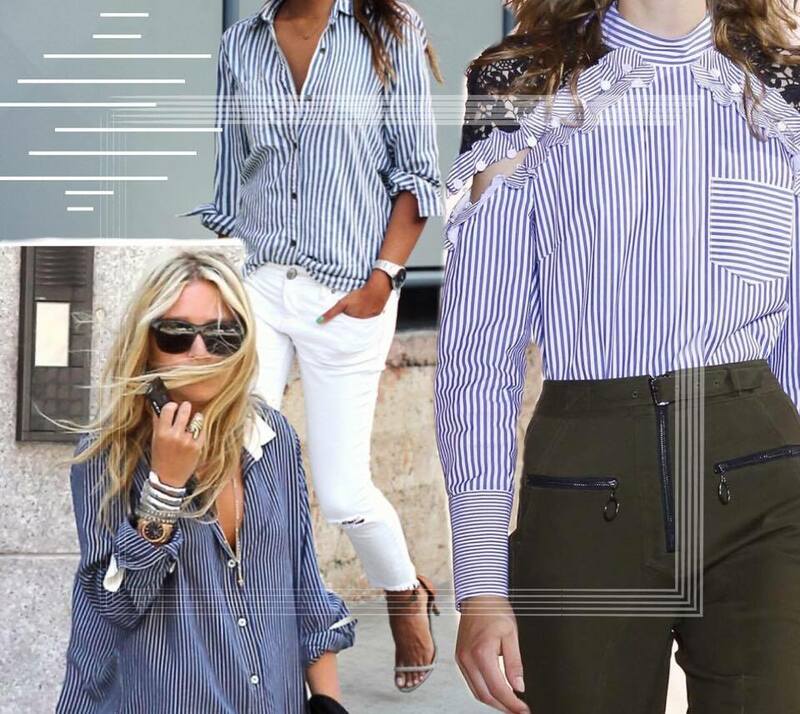 From the runways to streetstyle, I’ve rounded up my top 4 favorite wearable trends for spring, with all the shoplinks you need to jumpstart your new wardrobe!! 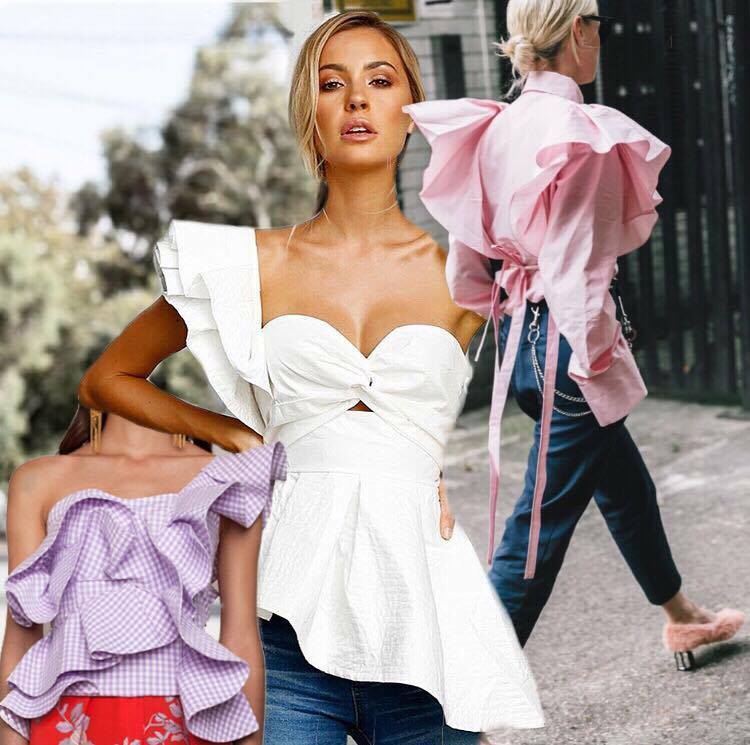 1 - Ruffles for spring…again? groundbreaking right?! Once again, ruffles are going stronger than ever and I’m not complaining! I’m a huge fan of ruffles for spring and summer, I love how feminine and romantic they look with any outfit. 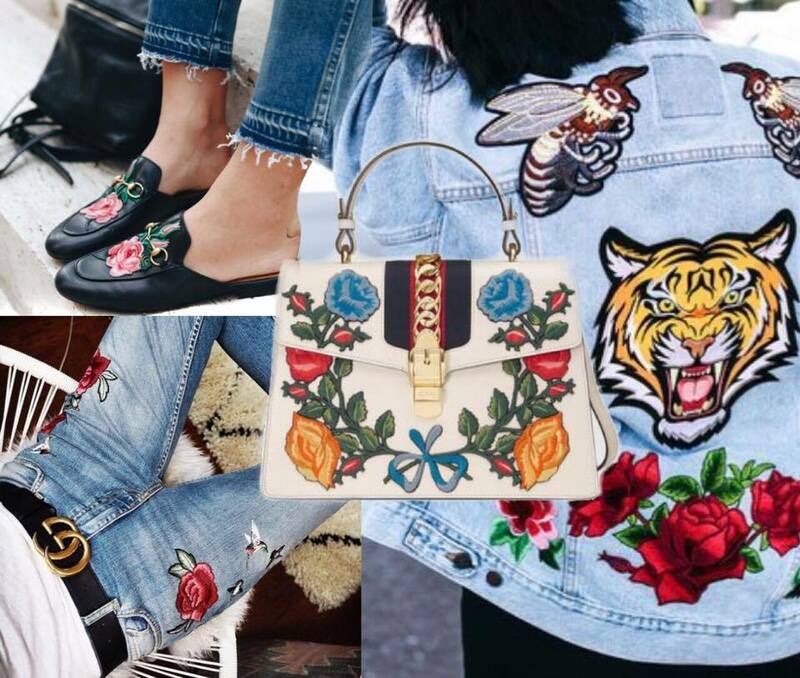 2 - These days embroidery is on everything..denim, bags, jackets, sneakers..you name it!! I love the effect embroidery has on clothing because it adds so much depth and color into an outfit and makes it more fun! 3 - This spring, stripes are everywhere from vibrant, graphic, horizontal, vertical..and my personal favorite, banker stripes! I love banker stripes because they are more subtle and versatile making them easier to experiment with. Inspired by Wall Street but tweaked & tinkered to work for seventh Avenue. 4 - Metallic Finish - Urban mermaids or space warriors? 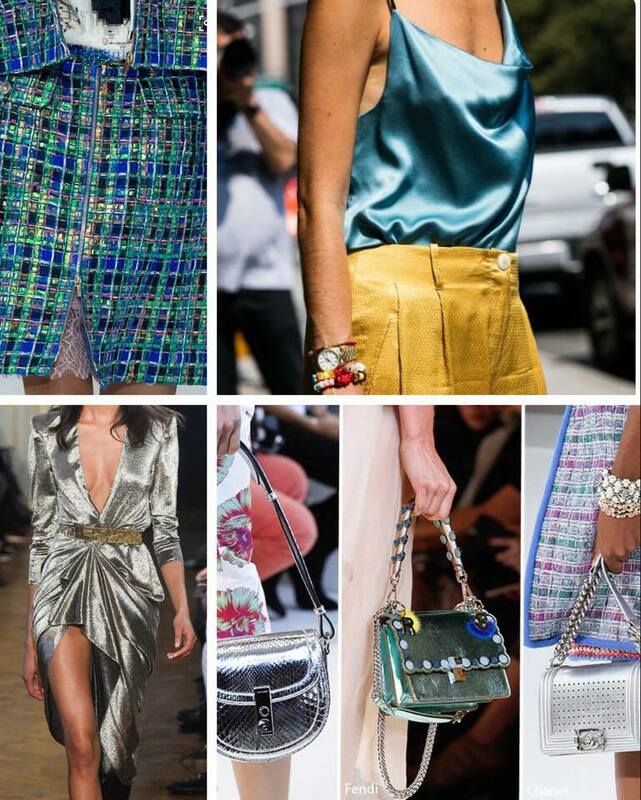 The metallic finish is also a trend for this spring and we can see the presence of the iridescent texture and shiny accents over the runways at Kenzo, Maison Margiela & Chanel. 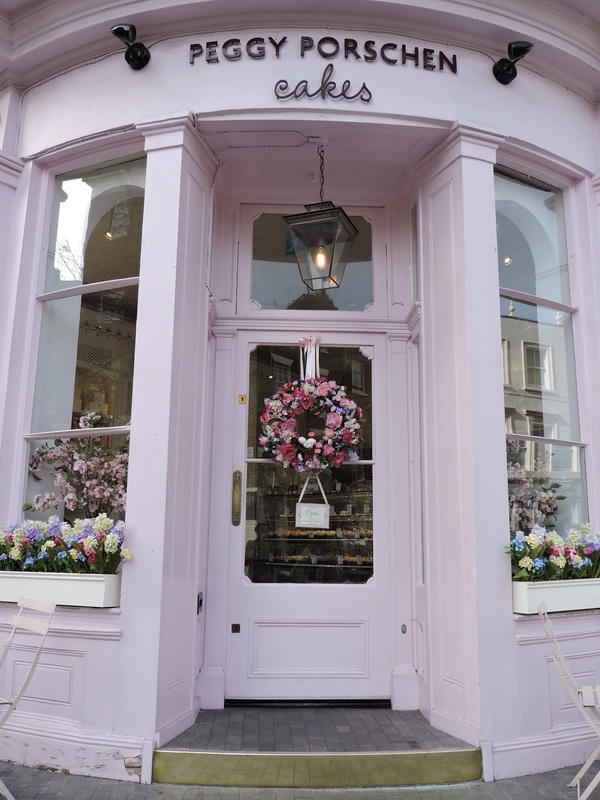 116 Ebury St, Belgravia, London . 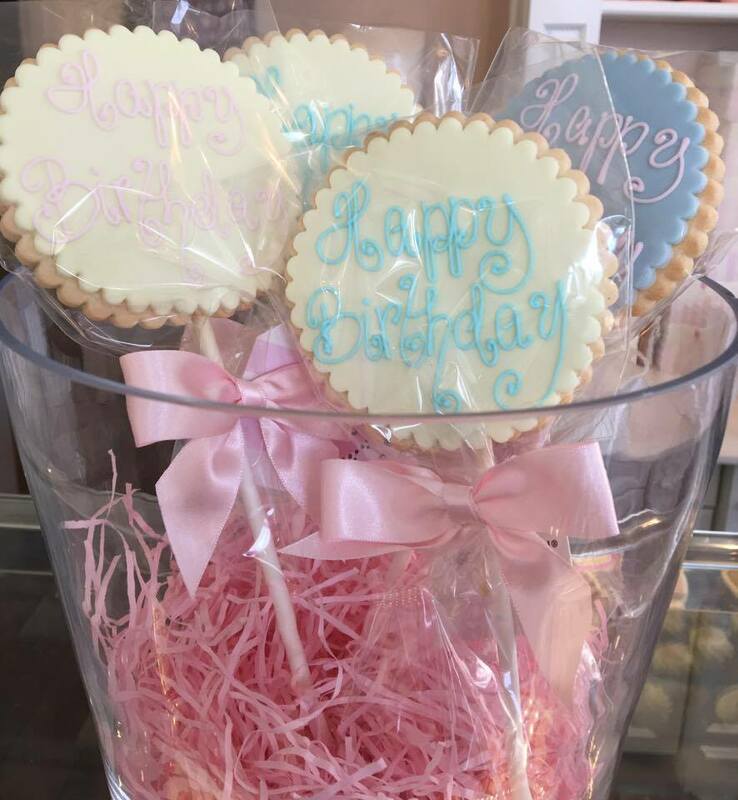 The award-winning cake designer - Peggy is renowned for making sweet treats for celebrities and has designed cakes for everyone, from Stella McCartney’s wedding to create a cake designed by Karl Lagerfeld. She also made Cheryl Cole’s birthday cake. 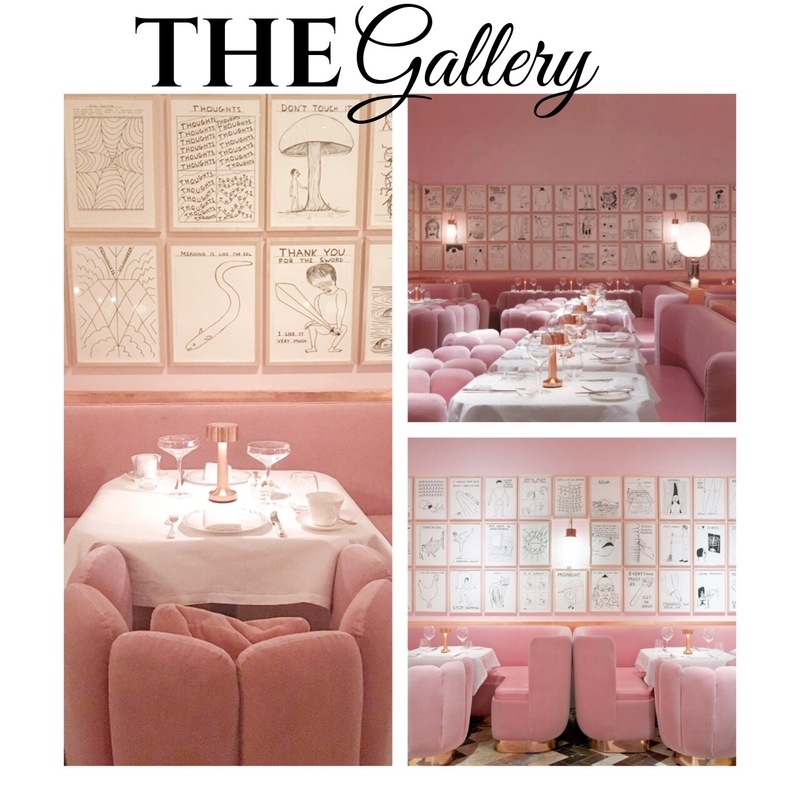 I am all about cuteness so the pink, princessy decor truly made me shed a tear of joy upon entering. I got lost in the decor. It is amazingly beautiful inside. Lots of pastel shades of happy. 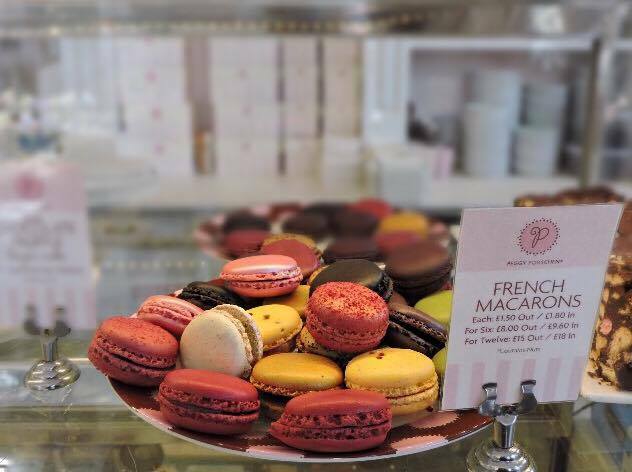 Then comes the pastry which are picture perfect like in a magazine. I spent more time looking at these pieces like a museum than I did deciding what to order. This place is all over Instagram & Pinterest - a bloggers favorite place. 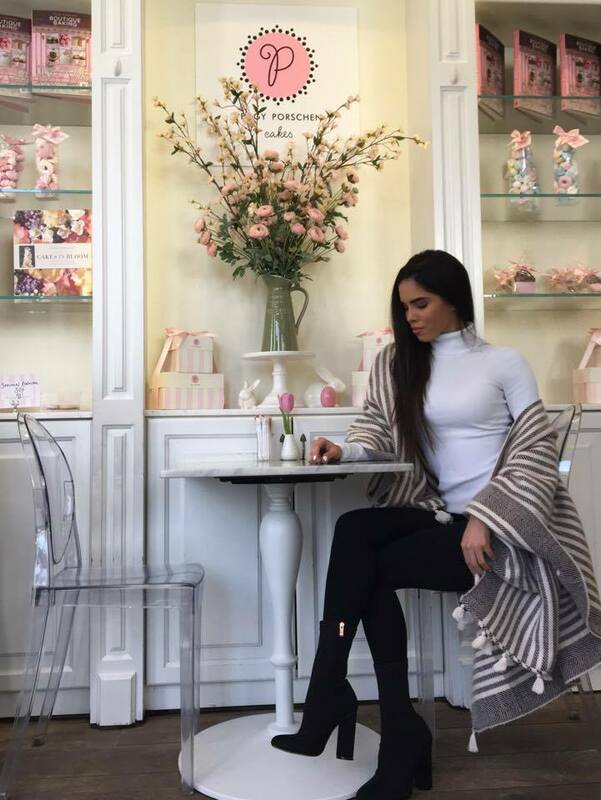 I happened to meet one of my favorite bloggers Marianna Hewitt . My sister in law Melanie accompanied me and we started by trying the the Raspberry & lemon cake. 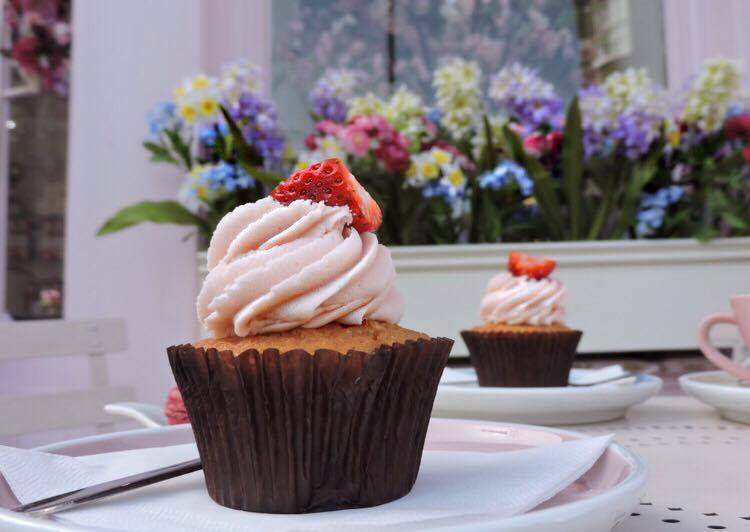 Then we also tried the Strawberry Champagne cupcake with a cappuccino. The customer service was beyond friendly. Thank you Hannah for having us. 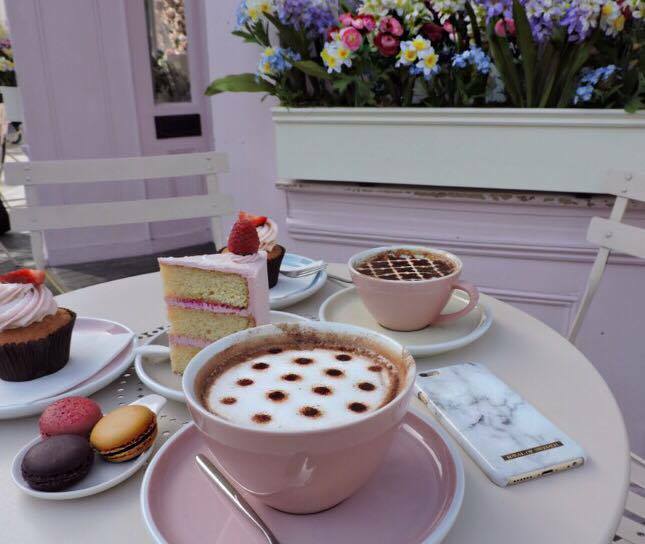 It was a delicious morning. Who’s ready for Spring already? 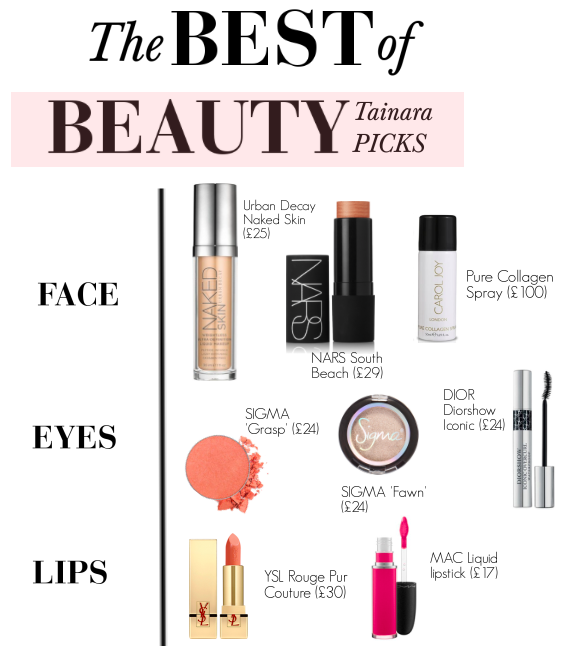 This month I will feature my beauty favorites and essentials for a natural, glowing makeup look! 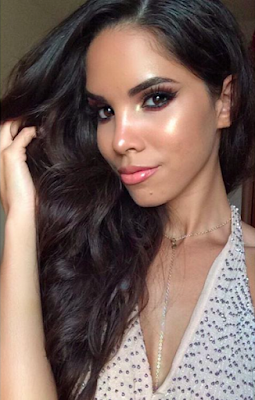 This Naked Skin Foundation - has been one of my favorites for a while. It gives my skin such a beautiful silky finish that looks super natural. This NARS multi-purpose stick for - eyes, cheeks, lips and body it's a very dynamic highlight for all skin tones. I really love this one. I'm currently using it as highlighter and eyeshadow when I'm in a rush. Carol Joy - Pure Collagen Spray is my everyday go to product!! It can be used at any time, after cleansing and before moisturizing or after moisturizing. 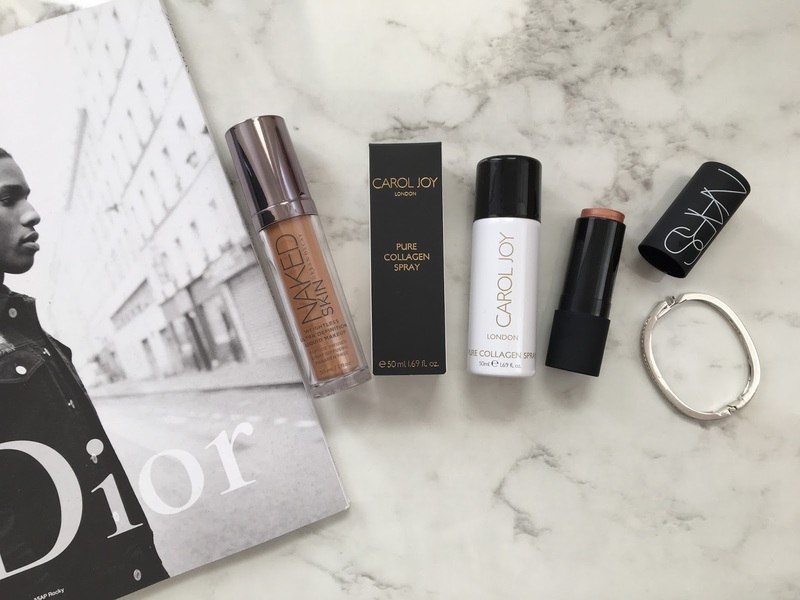 I also use it to finish, set or refresh my makeup and provides a really dewy and ‘glowy’ look to the skin. I usually don't go too crazy with the shades on my eyes. 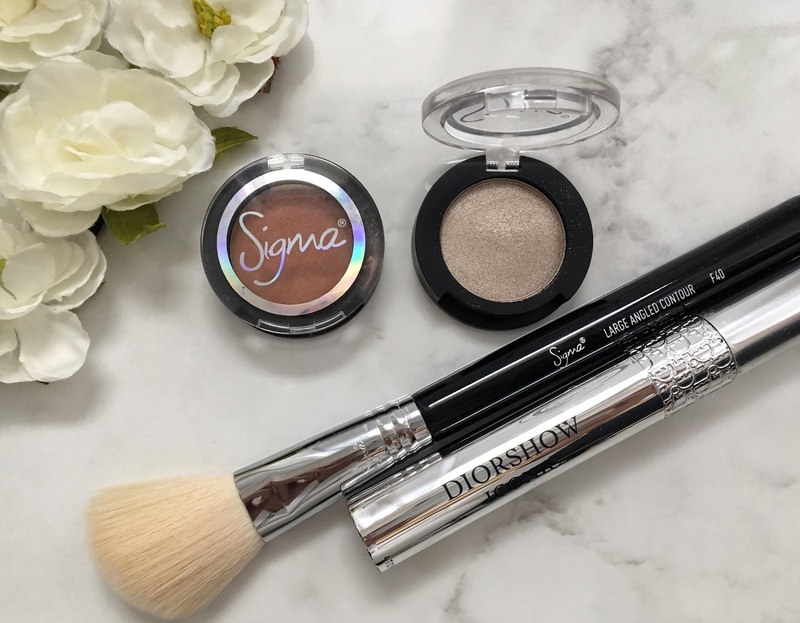 I love these eyeshadows from SIGMA beauty - the colors are perfect for a day or a night look. Spring screams for pink and coral-ish shades right? These are the lippies I love to wear during the Spring. 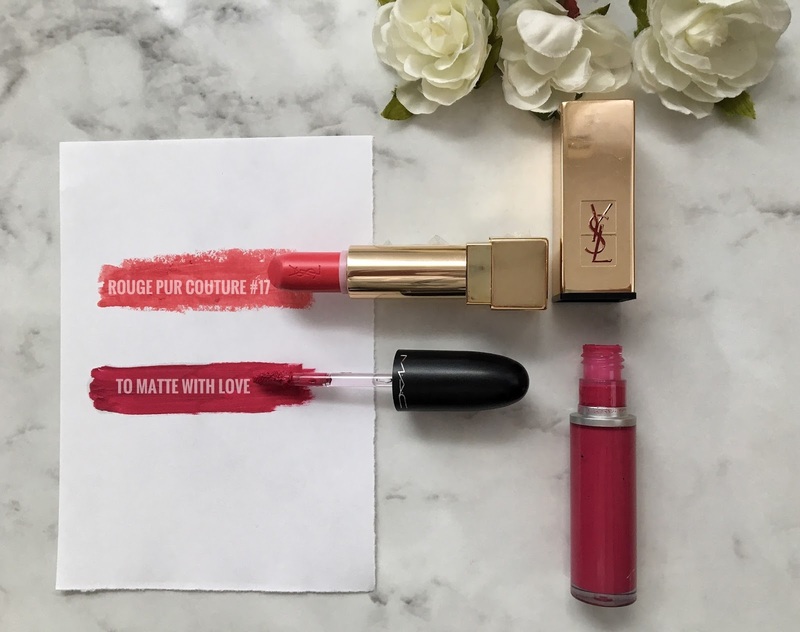 The YSL lipstick is very hydrating and moisturizing and gives a glossy effect to your lips. On the other hand the MAC liquid lipstick is very matte and lasts forever on your lips. 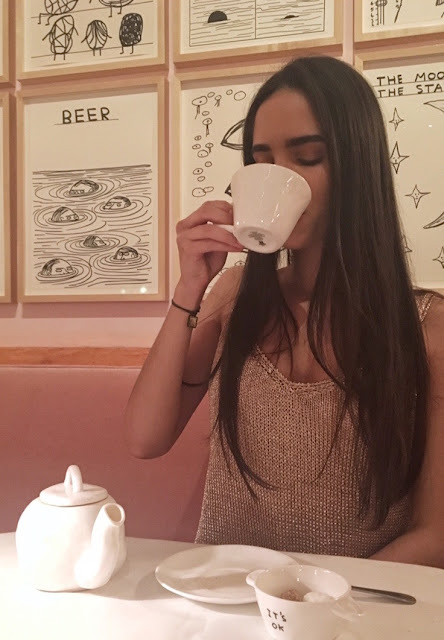 If you follow me on Snapchat you must have noticed that I spent my Friday afternoon at Sketch - which is one of the most notorious and well-known afternoon tea establishments here in London, and the beautiful Gallery space makes the perfect location for tea and cakes. 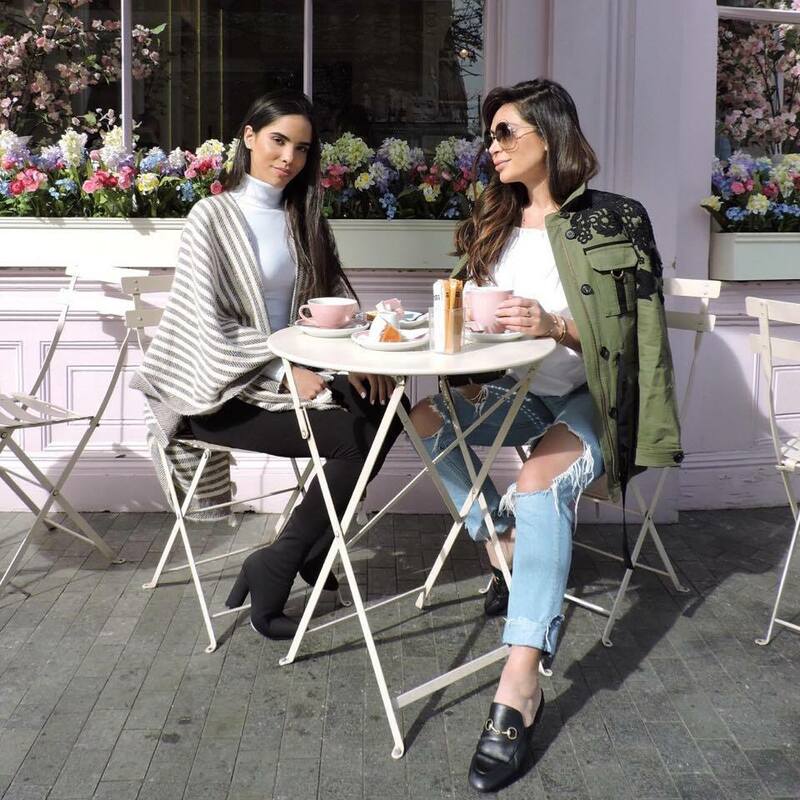 Sketch London is located on 9 Conduit Street, London. You can make an online reservation by clicking here. You start by selecting your choice of champagne and tea - I must say it was the Gatsby style champagne glasses. Would you like more sandwiches? Show–stopping cake tower packed with little cakes, pastries, sweets and mini sandwiches of all varieties - It was perfect to match the jasmine pearl tea I ordered. Every little cake and sandwich was perfectly placed and I couldn't wait to dig in. 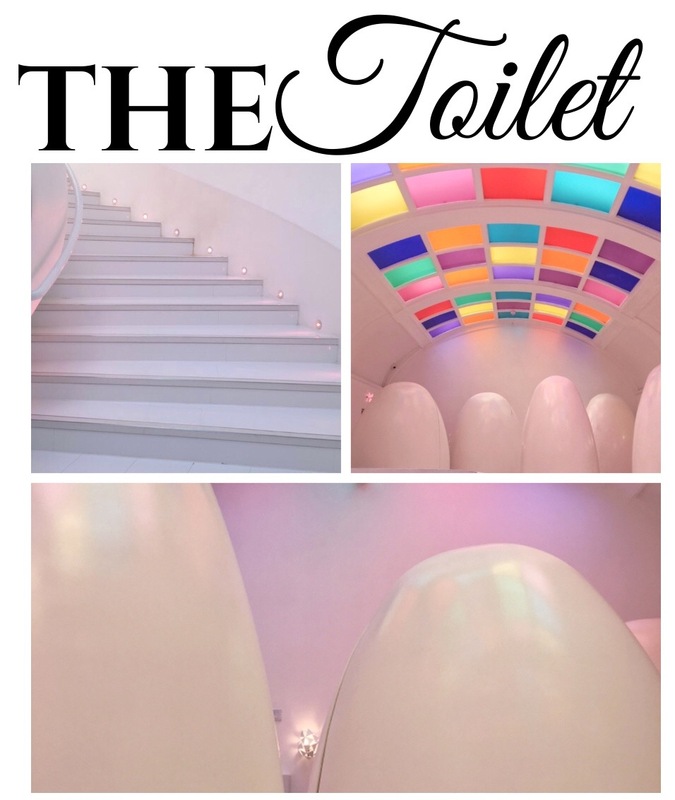 Make sure you take a trip to the toilets where multi colored ceiling lights set the scene for egg shaped pods that talk to you as you enter. I’ve never seen anything like it! 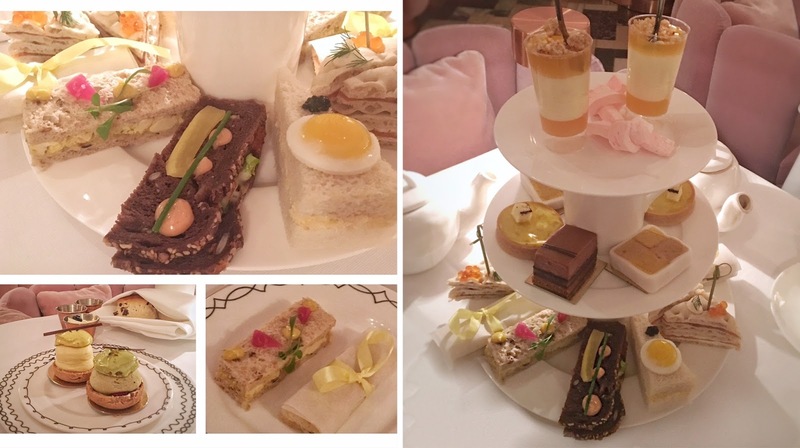 Every detail for the Sketch afternoon tea was perfect. Overall my experience at Sketch was simply wonderful. 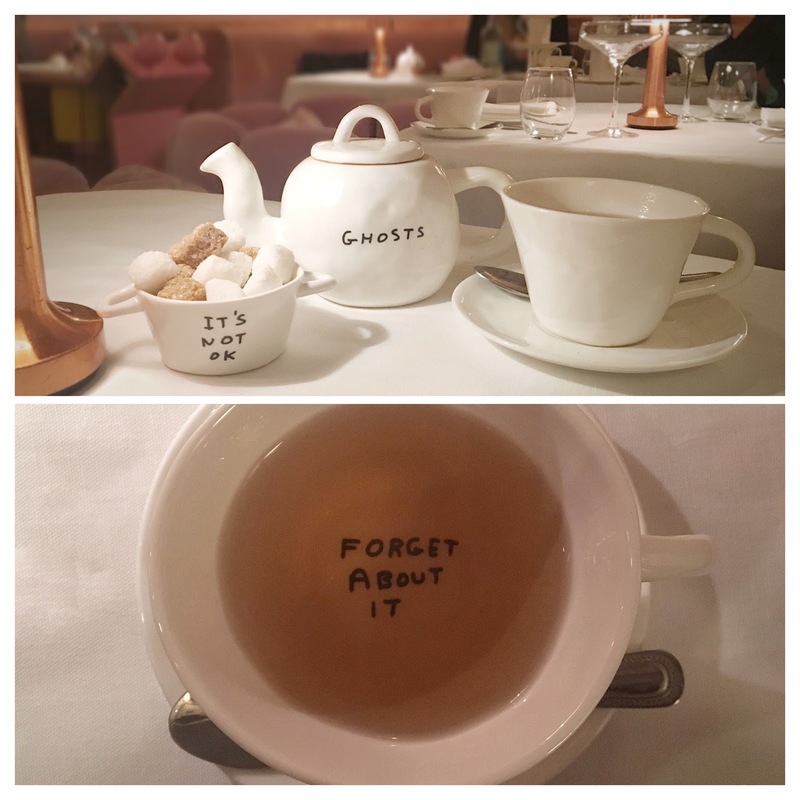 The staff and the thoughtful little details throughout the restaurant made me feel well special. Thank you Ellen & Sketch Team for having me and making my afternoon so perfect - I'll definitely come back with my friends.